​I specialize in one of a kind handmade jewelry pieces. ​​I will create the most unique designs to your satisfaction. I founded Traditions Past and Present in Santa Fe, New Mexico in 2009. Since then, Traditions has developed its own unique brand of traditional and contemporary styles that jewelry collectors have come to fall in love with. I am proud and satisfied to craft beautiful pieces from raw stones and metals and see the end result. My customer base continues to grow with existing collectors anticipating new work. 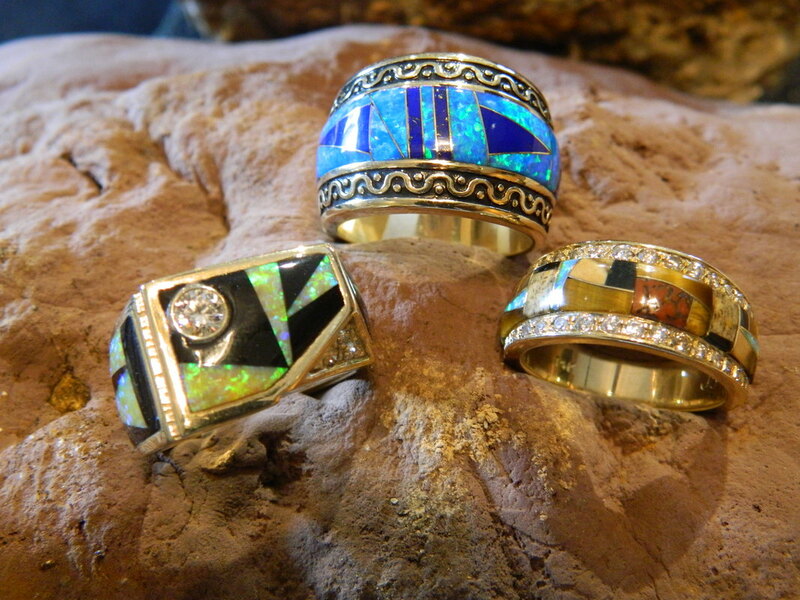 My designs have become well known for their Southwestern influence. With an approach to modern fashion and classic appeal, my jewelry features showcase gemstones in gold, platinum and silver. I travel throughout the United States attending only the finest arts and crafts shows. 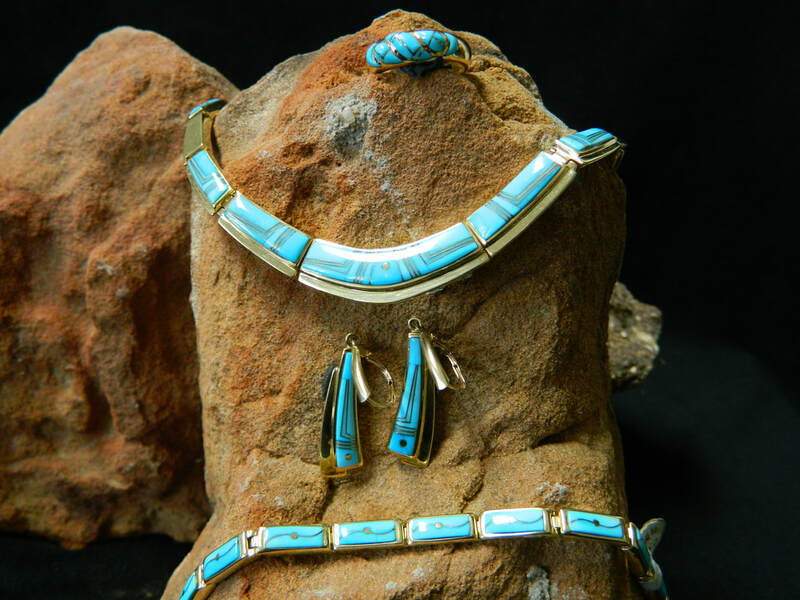 I discovered that traditional Southwestern jewelry is timeless. By adding an element of creativity, personal style and an updated contemporary look, my work reaches new lengths in fashion. My specialty is building custom pieces for my customers. Each design can have any metal or stone of your choosing, which is a unique feature of our business that customers love. When collectors assist in the creation of their piece, it makes it much more meaningful and one-of-a-kind. From the most vibrant to the simplest. The standards of every build will never change. One of a kind custom Gold and Silver Masterpieces! Designed and built by James Sandoval. ​​I WOULD LOVE THE OPPORTUNITY TO MAKE YOU A PART OF MY FAMILY OF COLLECTORS. All jewelry can be done in any metal (14K Yellow Gold, 14K White Gold, Platinum and Silver) and customized to your liking! *To place a custom order visit the Contact tab and give us a call! Be sure to include the item number, ring size (if applicable) as well as your choice of stone, metal and inlay. ​*All items shown are stock. ​Prices vary depending on metal, inlay and stone choices.